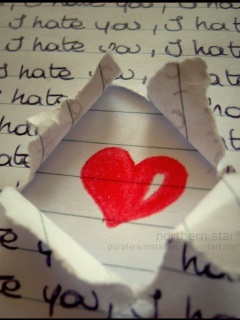 Underneath the hate is a love aching to be healed, and also to love again. Deeply. Better next time. I buried my love for you, but you helped push it deeper down, and away from sight. Waiting for a rebirth. Is it possible to love again after so much pain? Will I choose it or continue with my hate? Achingly slow is the process to healing. One justified reason after another makes me take my time to resolve this pain. Some I will never return to, their infliction was just too much to bear. Others will remain within my battlefield for a long time until there is no longer hate, but also no longer any love to speak of or feel. Then there are those who are worthy of me to gift again with my precious love. I or rather we, work together to remove the camouflage of hate.